Navdeep Bains, the government's minister of innovation, science and economic development, says Canada is focused on green technology. Six Canadian auto suppliers will share up to $11.5 million in federal money designated to help them develop technologies for cleaner and greener cars of the future, the government said Friday. The funding is to be used specifically for the development of lighter, more fuel-efficient cars that produce less air pollution and emit fewer greenhouse gases that cause climate change, said Navdeep Bains, the government's minister of innovation, science and economic development. “If Canada is to succeed in making the cars of the future, we must embrace greener, more sustainable technologies,” Bains said in a statement. He made the announcement at Datec Coating Corp. in Mississauga, Ont. Datec will receive up to $1.3 million to develop technologies that will improve heating management systems for vehicle cabins, lithium-ion batteries and engine fluids. Tyromer Inc. in Windsor, Ont. : Up to $3.4 million for recycling scrap rubber and produce seals for car windows and doors. Eurospec Manufacturing Inc. in Newmarket, Ont. : Up to $1.7 million for developing a new automotive seat adjustment mechanism. Loop Energy Inc. in Burnaby, B.C. : Up to $787,000 to develop a fuel cell that will generate more power. TM4 Inc. in Boucherville, Que. : Up to $4 million for a low-cost, high-performance electric engine for light trucks. Advanced Technology Emission Solutions Inc. in Hamilton, Ont. : Up to $272,000 which will be used to develop a catalytic converter designed to reduce greenhouse gas emissions. The funding is being allocated through the Automotive Supplier Innovation Program, which supports research and development by companies that provide components, parts and production systems for the auto sector. The money is also expected to create up to 80 skilled labour jobs. 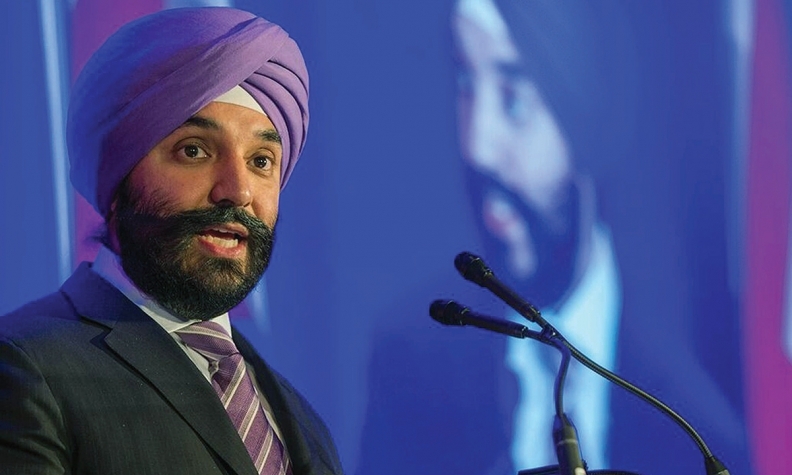 “By having a workforce with skills that are in demand and the technologies that will shape the future of the industry, Canada’s auto sector can secure its place in the global supply chain of tomorrow,” Bains said. The new funding is in line with the Liberals’ commitment to green energy and a cleaner auto sector, from manufacturing to the vehicles themselves. "Canada is unwavering in our commitment to fight climate change and support clean economic growth. Canadians know we need to take decisive and collective action to tackle the many harsh realities of our changing climate,” Trudeau said.